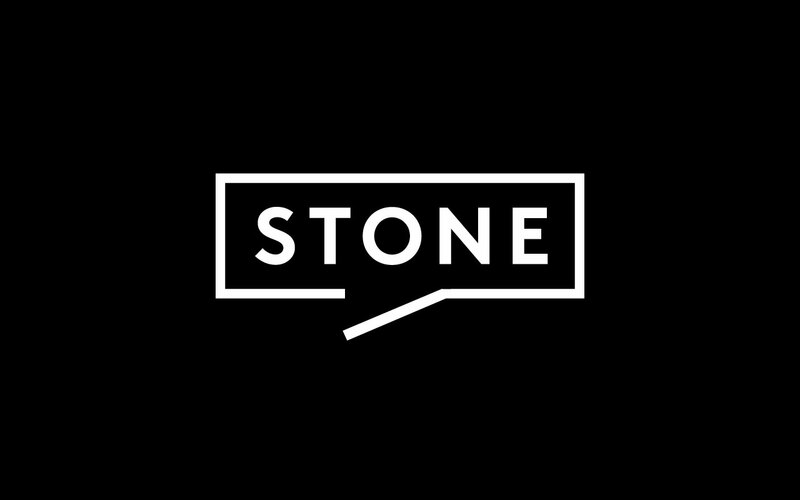 Stone Real Estate는 2012년 영국 자본을 기반으로 하여 호주로 진출한 뒤 사업을 확장중인 Real Estate 업체로써, 호주 시드니를 중심으로 하여 상위층 고객들을 주 타겟으로 프리미엄한 서비스를 제공한다는 면에 차별점을 두고 비즈니스를 진행해나가고 있습니다. 실제 부동산 중개 거래와 같은 특수한 환경 등에서 사용되고 있는 요소들을 활용하여 아이덴티티를 개발하는 쪽으로 방향성을 설정하였으며, 건축물의 Floorplan을 시각화하는 동시에 말풍선으로도 보여질 수 있는 형태의 Corporate Identity가 디자인되었습니다. 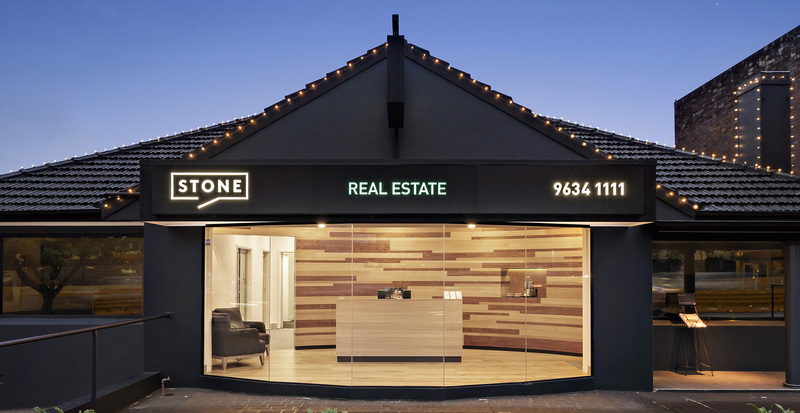 Stone Real Estate is a property management company based in Sydney, Australia. 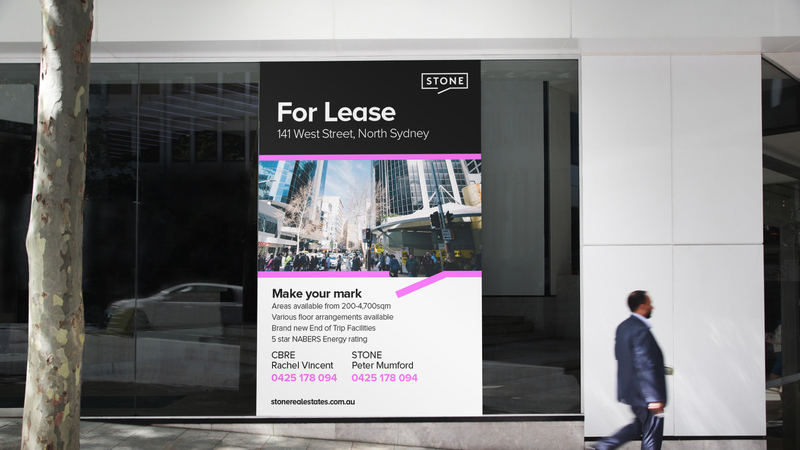 Considering the real environment surrounding real estate industry, we wanted to use something that is already out there and familiar like floor plan. 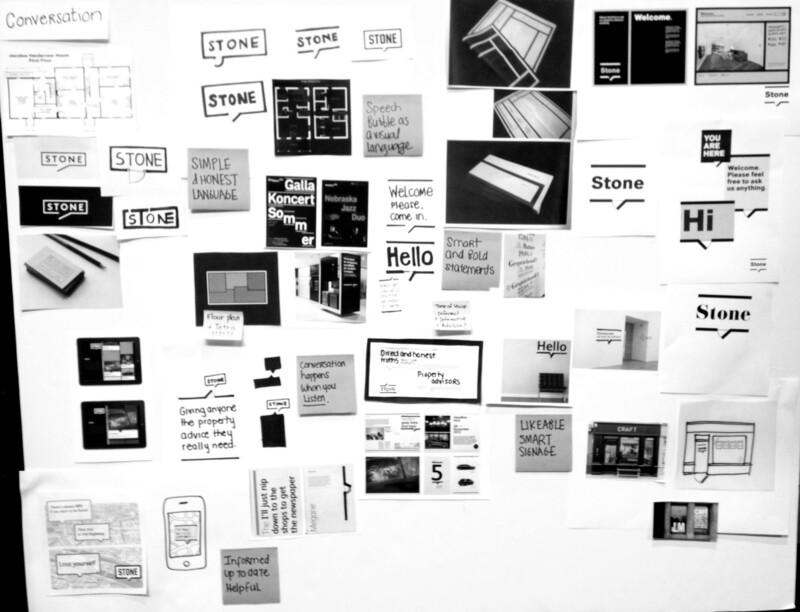 Our solution was to design a logo visualising a speech bubble as well as a floor plan with an opened door for customers. 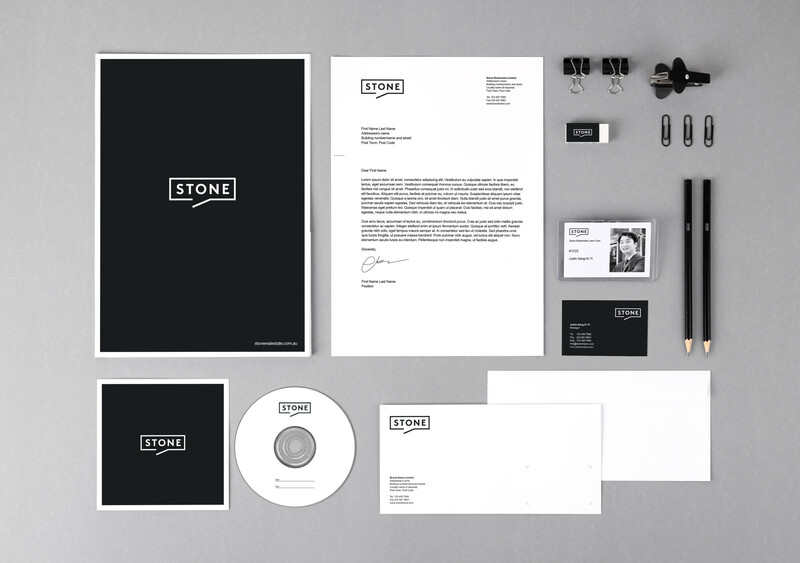 The project was done while I was doing a freelancing job at Landor Sydney. 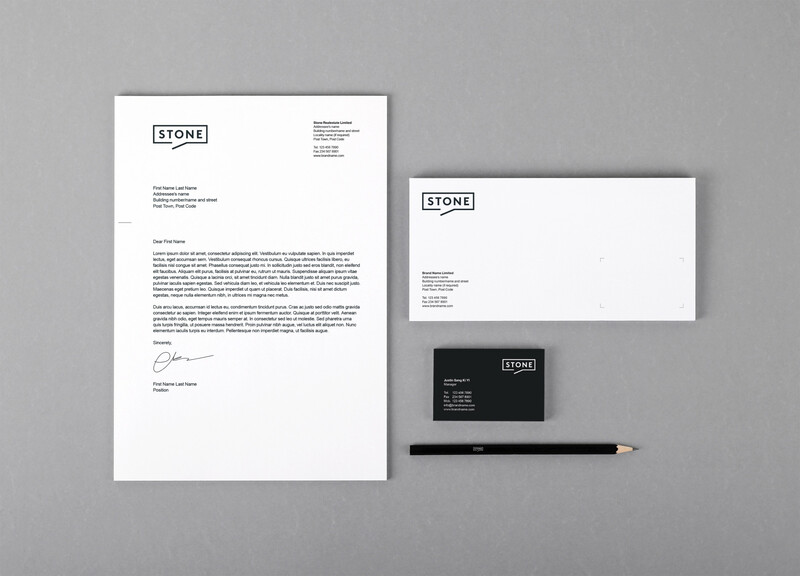 The artworks on this page may differ from the final artworks since I only designed the logo and I wasn’t involved until the last stage of implementations.